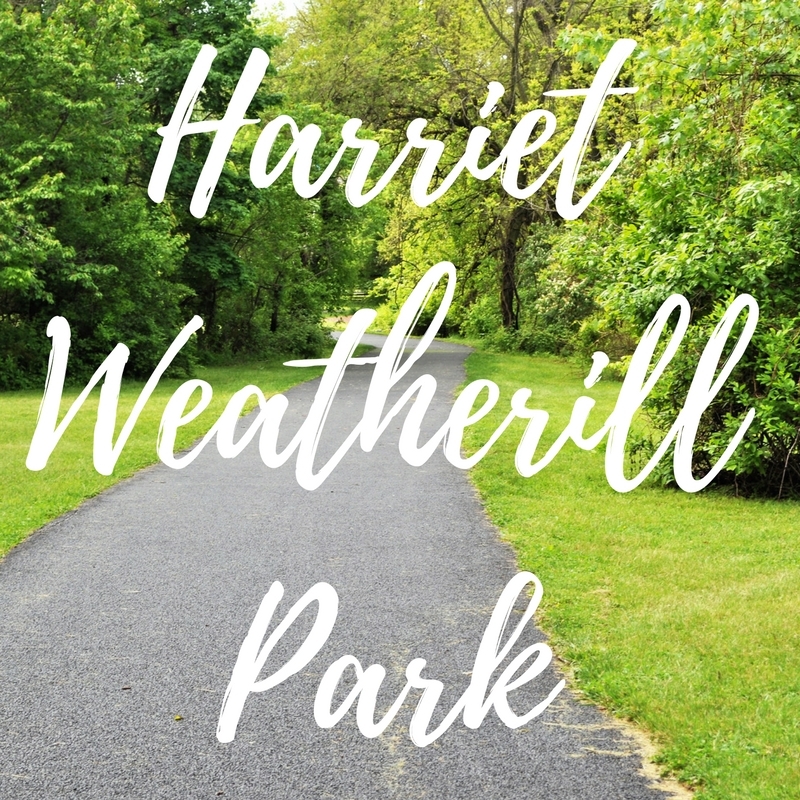 If you’re looking to add on to your Philly adventures anytime soon, Harriet Weatherill Park is a great stop! This is one of the “newest” parks we’ve been to, in fact they were installing a ton of new trees on the day we were there. 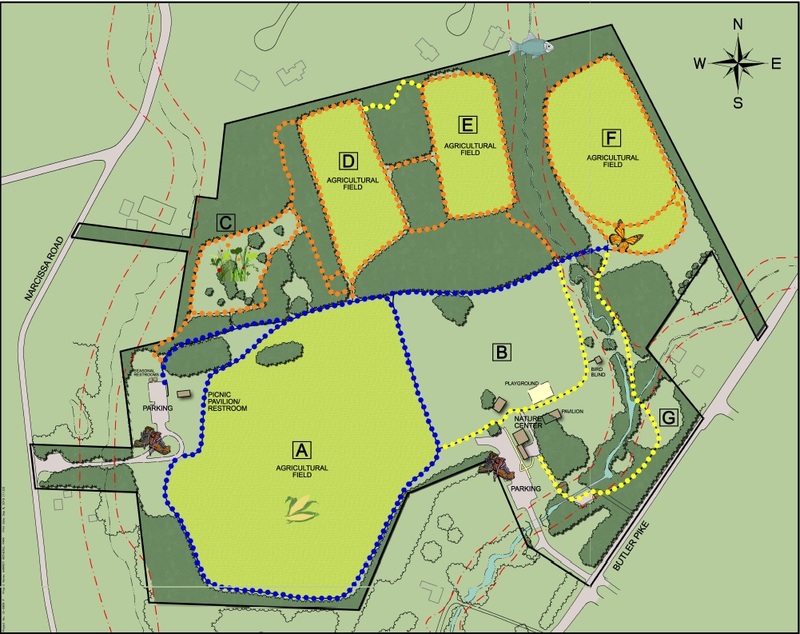 It’s only really been a public park since 2010 and only had their playground installed last year so there are changes being made constantly. 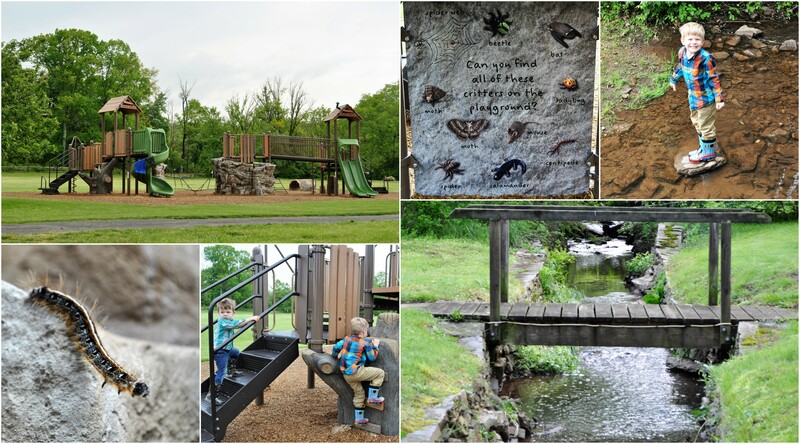 The boys thoroughly enjoyed the new, modern, play equipment and I loved it’s nature based theming. There were creatures “hidden” all over the structure and naturalistic play elements. It’s always nice to see something different! We crossed the creek 3 times during our short walk, and on one of those times, D decided to go through the creek instead of over it. He had his rain boots on so I was fine with that, but as it turns out, one of his boots had a leak… Moral of that story is to maybe check for holes in boots before wading through water in them AND to have some extra socks in the car at all times! If you had the time, you could hike quite a bit more here. We parked in the lot off of Butler Pike, and I was intrigued by the “Nature Center” when we looked at the map, however the building appeared to be empty. Maybe it is still in the works? Overall, it was a great, up and coming park that serves as an excellent resource for the community and we really enjoyed it.